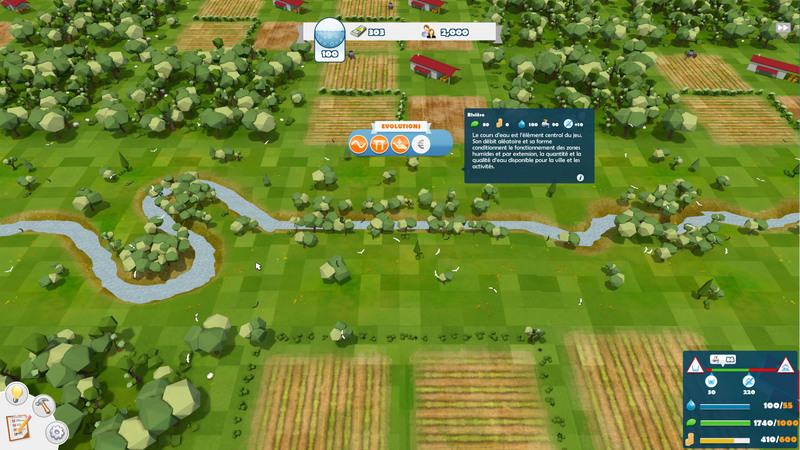 This Serious Games aims to raise general public's awareness on the topic of "Wetlands". The play has to manage a city by expanding industrial activity while maintaining a healthy ecological environment and providing a good quality of water to the city. Will you be able to balance all this contradictory goals? This Serious Games was created in partnership by the company Acceptable Avenir (final client and serious content), the research lab Ecolab (serious content), the company Tataragne Interactive (game design and game development) and the Irit laboratory (game design). We helped set up the project funding, and we participated to the serious content definition phase and to the first game design concepts.